Opened in January of 2019, a beautiful upscale resale boutique, with thrift store pricepoints. Those who enjoy the thrill of a treasure hunt are in for a treat. 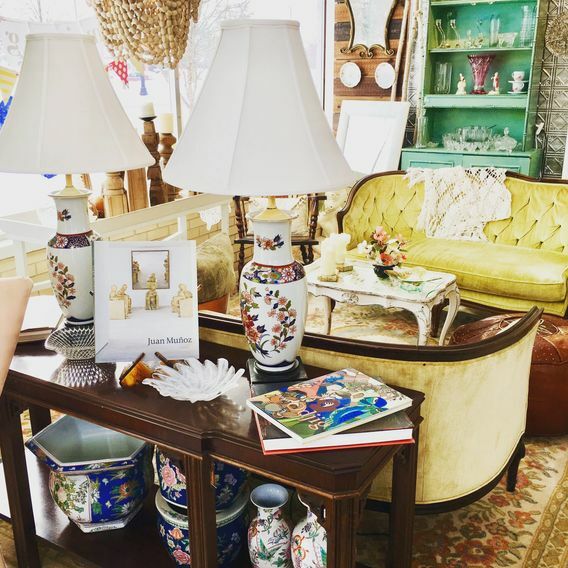 Step into the latest in upscale thrifting, a boutique setting loaded with antiques, vintage and mid-century-modern items. Hummingbird Resale is a treasure trove blending eclectic and traditional decor and collectibles for every taste and budget. Customers will enjoy unique items collected from travels around the world, from carved pieces from Africa to crystal from Bavaria and fine bone china from England. Beautifully displayed art and figurines are highlighted by the warm glow of vintage and modern chandeliers and lamps throughout the store. Select pieces of hand-painted furniture by local artist Karen Kory are paired beside vintage velvet sofas and mid-century-modern dressers.